TOP 20 GREATEST COMEDIES OF ALL TIME! | Lord...What's My Motivation? TOP 20 GREATEST COMEDIES OF ALL TIME! So, I thought I would throw out my top 20 favorite comedies of all time! You have to understand, before I even attempt this, I’m basing my list on a standard rule. Does it make me laugh, and do I want to see it again when I need a “good laugh.” That’s my criteria. Plot, actors’ performance, etc… none of these matter to me right now. Simply…does it make me laugh. 20. 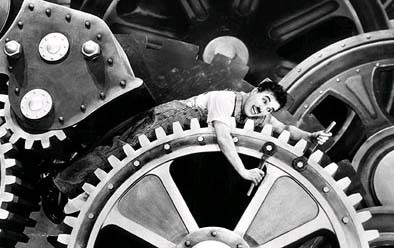 MODERN TIMES – Vintage Charlie Chaplin at his very best. While this isn’t how a lot of people would like to start off a BEST OF…list, I’m going to have to defend this black-n-white semi-silent film. This film has a brilliantly simple storyline that is executed with charm, style and grace by the world’s finest clown. 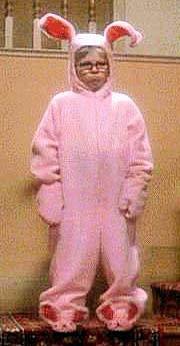 If you’ve never seen this film…it is wildly funny, and has a hidden tragic inner-lining. Favorite Moments include the “feeding machine” (just look at his facial expressions!) and the roller-skating department store scene. Rumor has it that he did that scene in ONE take, and that was a real hole in the ground, and there wasn’t any safety net. (Chaplin had the reputation for being a smidge crazy.) Good stuff. 16. SHAUN OF THE DEAD – In light of the fact that I don’t care much for horror movies, (Ok, I despise them, really) this would also count as probably my favorite horror movie too. But, let me just say that there are some moments in this film that are not only laugh out loud funny, but amazingly clever. Reoccurring bits that are brought up with perfection JUST when you think they were dead. ……Like a zombie! 15. 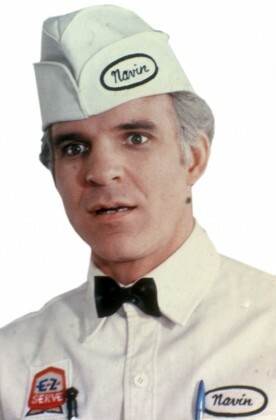 THE JERK – I’ve already said Steve Martin was a genius. But this solo effort at the very beginning of his film career is probably the craziest…silliest movie I’ve seen starring Martin. While there are a few moments that should have wound up on the editing room floor in my opinion, (it drags), when he grabs that dog and carries it in front of him because he’s naked…I almost wet myself. 14. DUMB & DUMBER – Ok, if anyone argues with this, I’m afraid we’re going to have to resort to fisticuffs. This is, by far, Jim Carrey at his best. 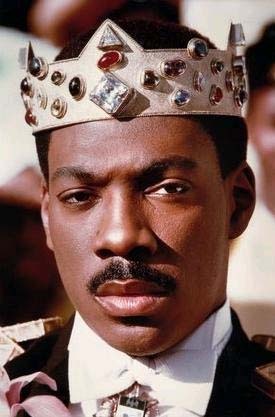 Forget the solid acting efforts…forget IN LIVING COLOR…this is gold. Jeff Daniels and Carrey should be working as a team in every movie they do. While over-the-top in every way, and highly one-dimensional in structure…it makes me laugh EVERY TIME. I love watching the OTHER actors in the scenes with Carrey. You can seen a hint of “DEAR GOD, DON’T LAUGH!! !” in their eyes, every time they have t remain serious in a scene with Carrey. 11. FERRIS BUELLER’S DAY OFF – When you look up classic move in the dictionary…there is a picture of Matthew Broderick singing danke shane. (sp?) 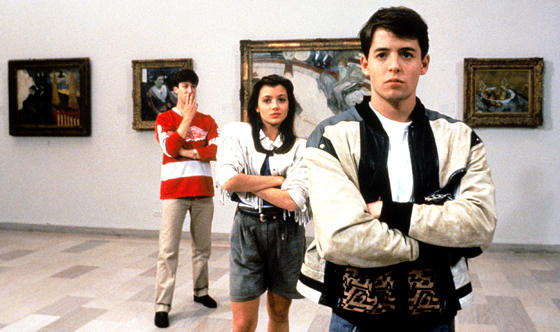 I was in class the other day talking with my high schoolers about…eh, something, I don’t remember….and I referenced Ferris Bueller. They didn’t know what I was talking about. I almost lost it. I couldn’t believe it. Mr. Rooney!!! Grace!!! Cameron!!! JEANIE!!!! Needless to say, I assigned it for homework. 9. MONTY PYTHON & THE HOLY GRAIL – Obvious choice, right? 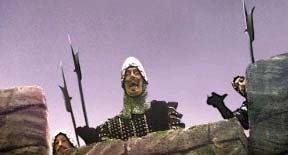 A best of list of ANY kind cannot be passed by without Monty Python at least getting mentioned. (That includes BEST CHOREOGRAPHY, BEST FINE DINING SIDE DISHES and BEST WORST SCENE.) British people are funny….there silly ways of talking and stuff. They say silly things…and fall down a lot. 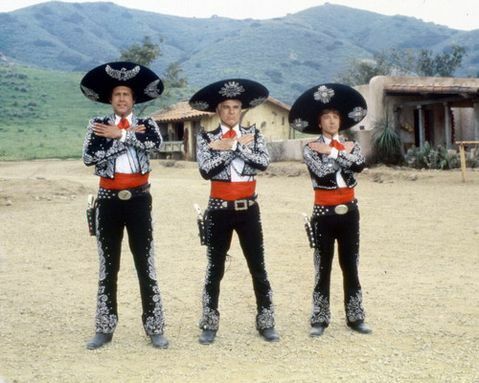 And then when the do it together in armor….very much ha-ha. 8. OSCAR – Here’s where I’m going to have to do some explaining. I LOVE this movie, mainly because I like situation comedy a lot. I also like word play and quick dialogue. (That’s why I can’t watch movies in the movie theaters anymore. Everything has become such a social event, nobody wants to listen to a movie.) This has some STELLAR dialogue, hilarious situations, and it is presented in real-time, which I love. 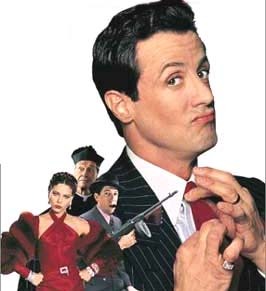 Stallone is at his VERY BEST in my opinion. 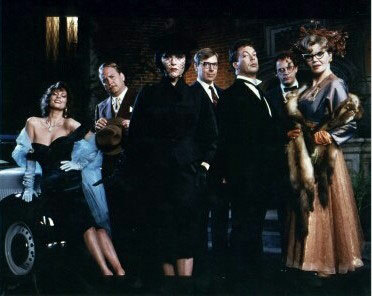 Tim Curry, Chaz Palminteri (before he got skinny), Peter Reigert (before he got chubby)….amazing cast! 6. 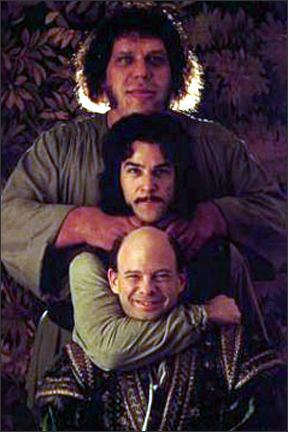 THE PRINCESS BRIDE – This movie is funny. But, I like it chiefly because I find myself getting lost in the movie every time I watch it. Do you know what I mean? Ok, here’s an example…I’ll be at the dining room table grading papers, and if I shuffle thru the television stations to simply see what’s on…if I catch this movie playing…the world stops and I have to watch it to completion. It’s a fun, silly movie….with heart. 5. BEST IN SHOW – Christopher Guest is simply amazing at what he does. There are several movies of his I could add to this list, but out of all of them, I like this phony documentary the best. This is another example of AMAZING ENSEMBLE. Fred Williard should be paid as an actor by the word. Everything that guy says is hilarious. 4. 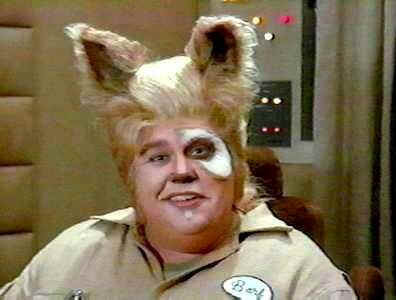 SPACEBALLS – Raunchy…sure. Stupid…oh, yes. Weak plot…”what plot?” It’s a high budget, Mel Brooks-a-thon. It’s like someone gave him millions of dollars, a week to write a script…and said “now go!” Its unbridled, reckless silliness. I love it, I love it, I love it. John Candy is his own best friend…plain yougurt….and Dot Matrix. I mean, sure it could have been pieced together at a film school frat party for kicks and giggles, but it seems to work. And if you asked me, it was a huge risk throwing something like that out there. But, it remains a cult-classic! Brooks is either a genius…or a wacko! 3. YOUNG FRANKENSTEIN – Yet another Mel Brooks classic. This story is great, but the true joy in this film (and quite frankly, the reason it’s so high on my list) is because of Gene Wilder. What a gift to the screen. 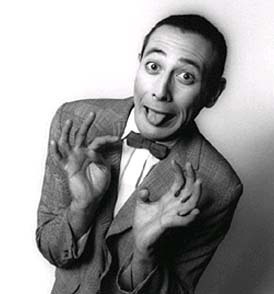 He’s probably the world’s best straight-faced comedic actor. While I’m not a huge fan of Teri Garr’s, I do think she’s brilliant in this film too. What “Frankenstein” might lack in recklessness (compaired to “Spaceballs”), it picks up in substance. This is Brook’s finest screeenplay in my opinion. 2. CADDYSHACK – Where do I start? This is a diamond in the rough. This is one of the MOST QUOTED movie of all time. I say lines from this movie daily. It has a weak plot, and some of the jokes are totally obvious, but who cares! 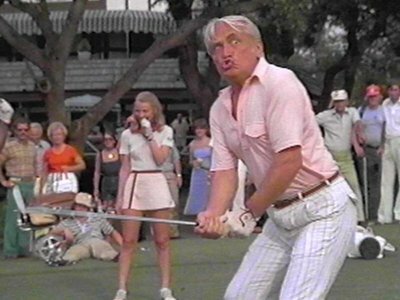 Ted Knight is amazing in the film…Bill Murray is a wonderfully loveable character…and you find yourself rooting for the underdog in the end. (You really don’t know why…but you do.) I even like the fact that the girl that plays Meggy is SUCH a terrible actress. I even find THAT funny. 1. 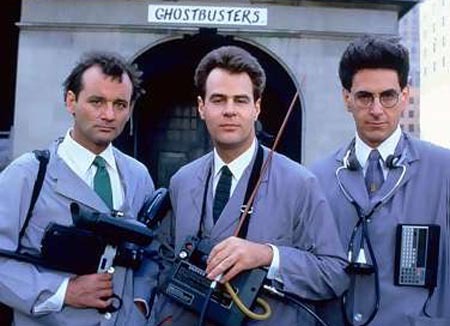 GHOSTBUSTERS – Some of you old school movie critics may say “but I would define this as a full-blown comedy.” Fair enough. But, this movie is great on so many levels. It’s a respectable special effects movie (especially in its time), it features an amazing ensemble, the script is hilarious, the pacing is perfect….I mean, I could go on and on. While the story is a smidge “whatever”…it remains my favorite comedy of all time. I’ve probably seen Ghostbusters a million times. Another highly quotable movie for me. It the type of movie, that YEARS later when I’m sitting on my couch watching the movie on TV, I’m thinking to myself, “I wonder i these guys KNEW what they were making, when they were making it.” It’s just legendary. Legendary. Well, that’s it. I would highly recommend you catching these films if you haven’t already. I would also love to hear your opinions. Did I miss one that should certainly be on the list? Am I nuts? You tell me. I’d love to hear your top 20 as well. Blessings to you all until next time! This entry was posted on September 21, 2008 at 9:23 am and is filed under MY "TOP" LISTS with tags comedies, funny, Movies, top ten. You can follow any responses to this entry through the RSS 2.0 feed. You can skip to the end and leave a response. Pinging is currently not allowed. great list, i’ve seen most of them, but there are a few i’ll check out. What, no History of the World Part I? What a about Wayne’s World? I would also have to argue that Blazing Saddles should be on the list, not just honorable mention. What list wouldn’t include Animal House? Just the opinions of the movie un-expert. Okay Eric I agree with most of those…honestly, I am a typical chick. Not lovin the “Dumb and Dumber” choice; but everything else, TOP NOTCH! Great movies do have classic lines…You did leave off some other great classic comedies like “Meatballs”,-It just doesn’t matter…It just doesn’t matter. “My Big Fat Greek Wedding” – This is Nick, Nick, Nicky… It’s a bunt. A bu-nit? A bunt. are newer classics. These are movies that I would sit with my dad and watch..well except Old School. The ones you chose are great, though. I agree with most of your list, and am embarrassed that Dumb and Dumber is on my list. I would put Blazing Saddles on my top 5 list, with Caddyshack, Bueller’s Day Off, Young Frakenstein, and Animal House. What no Elf? You got to be missing something in your head. Also all of the Vacation series, not on the list. “Clark, that there is an RV.” I also think Animal House should be on this list. Last word on this “Four Rooms” need I say more? 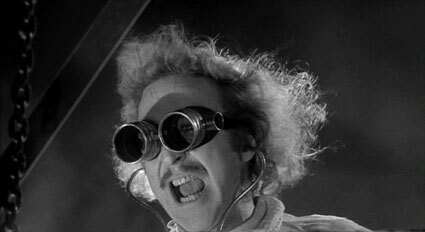 Mel Brooks did a great job of directing Young Frankenstein, but it was written almost entirely by Gene Wilder. I’ve read the screenplay that Wilder submitted to Brooks and it’s almost identical to the film. Proving that even brilliant comic geniuses sometimes get it wrong, Brooks tried to talk Wilder into cutting the scene where he and the monster sing Putting on the Ritz – Brooks had the grace later on to admit he was wrong. Great list and well argued. I would definitely include Naked Gun and what about Mike Myers’ rich portfolio of work? Austin Powers and let’s not forget Wayne’s World. I think you give Chevy Chase short shrift – there is a scene a the beginning of family vacation where the wife is loading the dishwasher and he appears to be helping, only he is taking the dirty dishes out, wiping them off and putting them away in the cupboard. Talk about playing it straight. There are also the Fletch movies. But I digress; your list is diverse and Ghostbusters is a nice top choice. Thanks, I feel inspiration and faith returning. What a great list of comedy classics. I dig your appreciation of Steve Martin but as you mentioned a liking to Chevy Chase too, it might have been nice to see some of his better films up there. No room for National Lampoon’s Vacation or Fletch? But he did fade fast didn’t he. Saw Snow Day recently – total waste of time. I haven’t compiled my list of fave comedies yet but I’d include many on this list alongside: Bad Santa, Withnail and I, Sideways, The ‘burbs, Tommy Boy, Stakeout, This is Spinal Tap, and I’d put Trading Places ahead of Coming To America. HELLO! I came across your blog when searching for a picture of the Princess Bride and I love this list of funny movies you have here. I have been dying to see good comedy movies for a long time and this is the best thing I;ve come across so far. Thank you so much for posting this! Also, I agree with you CADDYSHACK really is the most quoted movies of all time. I would hear my cousins say something witty or random that has no relation to anything we’re talking about and i would find out later its from this movie. Gotta say, I love this list. THANKS AGAIN! Stripes? what about Stripes?! Anyway, great list! There is a couple I haven’t seen yet. Office Space should definitely get some sort of nod as well. And I’m glad you included Clue on the list. Fun movie and was honored to have met Tim Curry in the bathroom in at The Orlando International Airport. I like movies like that (Johnny Dangerously, Mafia). Maybe you should compile a Soon To Be Classics list to give credit to some of the Apatow movies and other great ones that have came out recently. Thanks for providing me with a list of things to rent and look for next time I’m out there!!! There are lots of dumb comments on this blog. I have several criticisms of this list (although I like a lot of your choices). 1. Oscar? This pick totally kills the entire credibility of your list. That movie is mediocre at best. 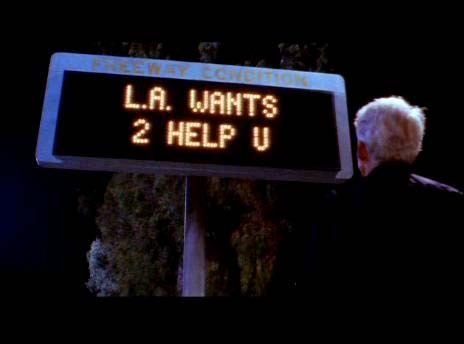 Also, Zoolander and L.A. Story have no business on this list either. 2. This list is very 80s heavy. If I had to guess, you are 36-40 years old. Nothing wrong with 80s comedies, but there are a lot of good more recent comedies that I think you’ve over looked. For example, Old School, Anchorman, The 40 Year Old Virgin, Superbad, South Park the Movie. Or older ones (where’s Dr. Strangelove?). 3. No Animal House? How is that possible? 4. No The Big Lebowski? This is even more damning to your list than including Oscar. In the end, you should remove the non-80s comedies and fill in some of the glaring holes in your list with 80s comedies and rename the list “Top 20 80s Comedies” and then you would have yourself a pretty good list. Otherwise, its a list of funny movies that fails as a top 20 list. Howdy I wanted to post a comment on this page regarding you to be able to tell you just how much i actually Liked this read. I have to run off to work but wanted to leave ya a simple thought. I book-marked you So will be back right after work in order to read more of yer quality posts. Keep up the quality work.